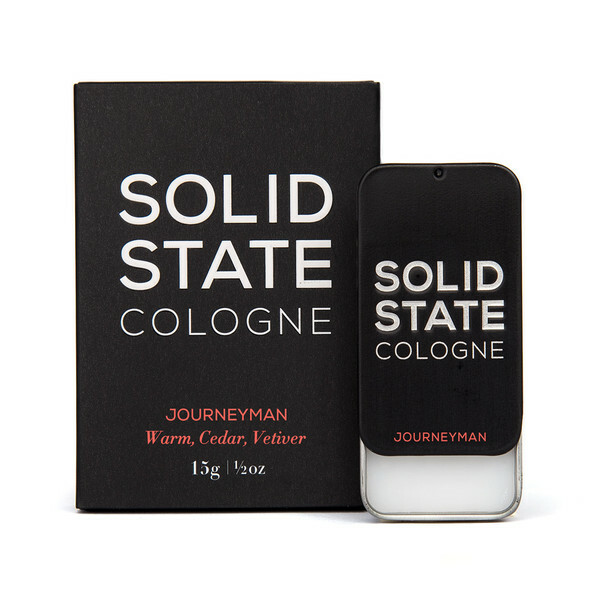 Solid State For Men offer a unique range of colognes for the men all around the world. The Australian company offer these colognes not in the spray or splash form but cleverly in a balm. One good point about these is you will receive a higher quality and concentration of the scent than you would in a regular cologne, as these balms have no water content. The balms are made from natural source ingredients which are Beeswax, Shea Butter and Jojoba Oil all renowned for their skin moisturising and nourishing elements to and for the skin. The balms are packaged in a black box emblazoned with Solid State Cologne with a slide up middle tray where the black metal tine sits. To access the balm the lid on the tray slides up revealing the solid cologne which makes this great to access, especially if you are on the go or your wanting to apply more through out the day. You rub your finger into the balm and apply to pulse points and let the scent capture your senses. Solid State For Men offer three great choices of cologne for any age, occasion or season. I have tested all these incredible colognes out and i found that journey man is very sporty so would suit any guy who is active. Voyager is a delicate sweet but masculine, being a fan of musk i adore this cologne, i feel its comforting and very unique. Wayfarer is spicy but with a creamy vanilla, i could see a guy wearing this on a date. All the colognes fit well into any mans life scenarios whether that being going to the gym, dates, work, hanging out with friends. The handy little tins can fit right into your pocket or bag and are easily accessible when you need them. They are not tested on animals and ship worldwide. 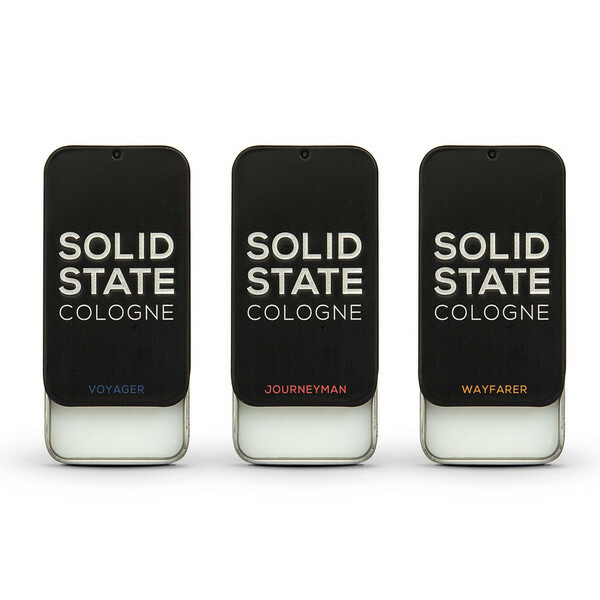 If you want to find out more head on over to Solid State For Men and discover a new way to wear your scent!